Kick off your week in style with the newest Last Hurrah in podcast form! This week on The Last Hurrah we delve into the world of freestyle diss tracks with the help of Isabel Duarte, Matt Kline and Karli Cole! We lay down some harsh rhymes on Kraft Mac and Cheese, the heat and Donald Trump. For the first time ever, we streamed this episode live on Facebook, you can watch it here! Join us at the Maryland Ensemble Theatre on Sunday August 21st for a new adventure! This Sunday on The Last Hurrah: Diss Tracks! We’re bringing free comedy to the Maryland Ensemble Theatre this Sunday at 7pm! Have you ever been so mad at someone that you couldn’t help but diss them and put it to music? Well this week is your big chance! After discovering the Damn Derek Diss Track we’re setting out to make a diss remotely better. We want your help, need to get something off your chest? Here’s your chance to do it through the liberating power of freestyle. The Last Hurrah Graduates and it’s Off To The Races! Kick off your week with the newest Last Hurrah in podcast form! This week, we welcome our freshly graduated Two Human Family (But Not By Blood) Funtime Schmucker’s Jamtime House Band to the show! The band is comprised of former-One-Man-Band-Leader Thom Huenger and Karli Cole. In this show Kevin and Isabel teach Thom and Karli what it’s like to be completely finished with college and we get a glimpse into Karli’s life as the madame of a brothel. Then, swing by the Maryland Ensemble Theatre on Sunday May 22nd when we go off to the races! This week, we bask in the decadence and depravity that is the Preakness, Maryland’s own Kentucky Derby. Will we be joined by a triple crown winner? Will we lose it all thanks to a crippling gambling addiction? If you’re a fan of being a fan of horse racing, you won’t want to miss this week’s show! This Week The Last Hurrah Graduates! The Last Hurrah returns to the Maryland Ensemble Theatre this Sunday (7pm) with a BRAND NEW SHOW! Back from a lengthy and arduous two week break, The Last Hurrah is returning with a graduation special. In the past few weeks many Hurrah members have passed the bar exam and are off to graduate, not only does this include one-man-band-leader Thom Huenger, but it also brings the introduction of our second-bandmate-band-member Karli Cole. Both of whom are not permitted to give up learning so their brains may turn to mush! Come see them, laugh at them, and congradulate them this Sunday (FOR FREE) at the Maryland Ensemble Theatre! This week, Kevin, Thom and Isabel explore the primary elections. Who is Bernie Sanders and could he possibly be the most deceitful candidate in the race? We discuss the harmful effects of voter suppression and then get down to the one issue millennials actually care about… Coachella! From the bands playing to wearing anything other than a Native American Headdress, this episode has it all! Then, swing by the Maryland Ensemble Theatre to see any of their current shows but NOT The Last Hurrah. We’re taking the week off, but will (most likely) return on May 8th. Check here for updates! This Week on The Last Hurrah: OedipusTALX and The Return of The Ha-Has! 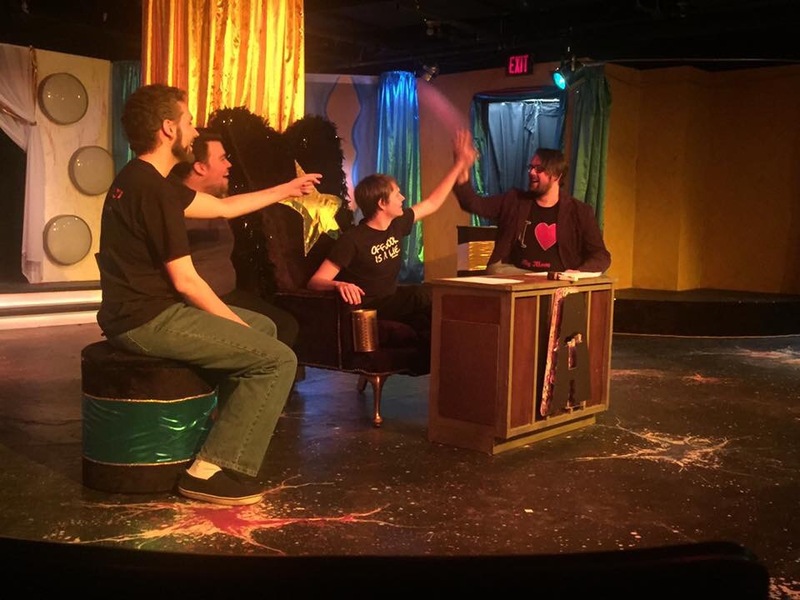 Kevin Cole and Thom Huenger return to the show to explain their month long absence… working on/creating the MET’s newest original show: OedipusROX! 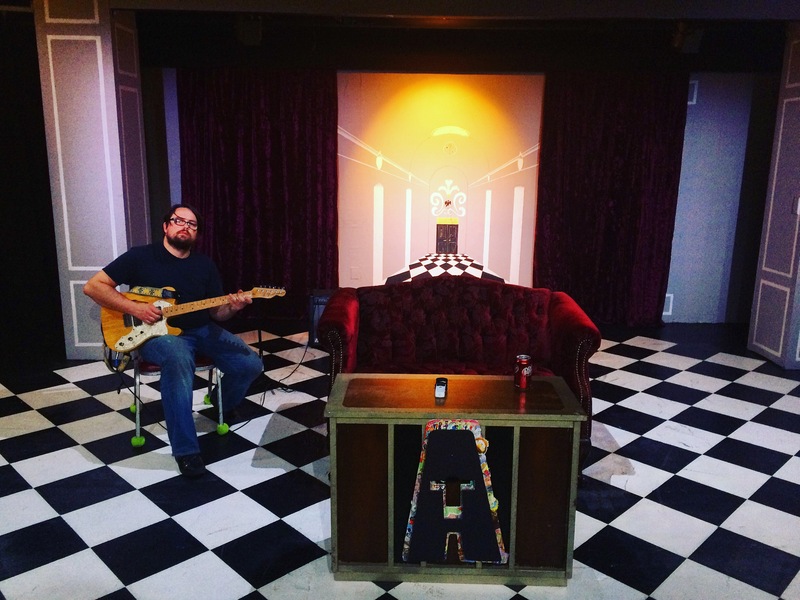 Written by Sarah Shulman and composed by Thom Huenger, OedipusROX is a rock and roll musical based around the classic greek tragedy. Kevin discusses the show with Thom as well as Music Director Robert Martin and Eric Jones (Creon). Everything goes well until the last 10 minutes when the show spirals into a discussion about Star Wars… whoops! Then join us at The Maryland Ensemble Theatre for more fun on Sunday at 7pm! Kevin Cole and one-man-band-leader Thom Huenger take back Stage 2 to bring the laughs. We’ll be honest, we haven’t booked this episode yet, we haven’t even begun to talk about it, we’re still catching our breaths – but we promise a show a jam packed with chuckles and maybe even the occasional giggle. Following a series of technical issues, The Last Hurrah is back with a brand new open mic night featuring the likes of Kevin Cole, Matt Kline, Isabel Duarte, Colin Shultzaberger and Lydia Hadfield! We will return to the Maryland Ensemble Theatre on Sunday March 13th with guest host Julia Williams!